At Ever After High, powerful princesses learn to take the lead in their own stories, and that includes these three young ladies. 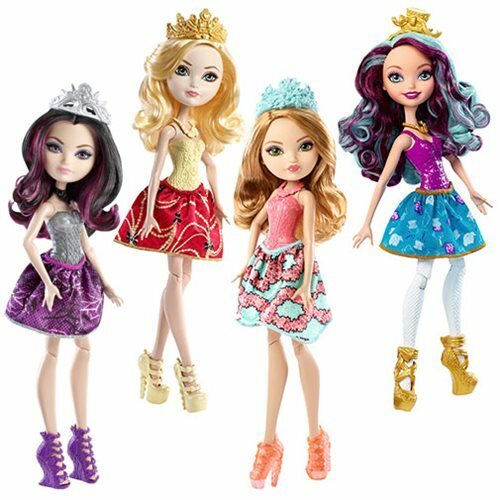 The Apple White (daughter of Snow White), Raven Queen (daughter of the Evil Queen), and Ashlynn Ella (daughter of Cinderella) dolls feature fashionable outfits with detailed skirts and accessories, including matching tiaras and shoes. Aren't they beautiful? Dolls cannot stand alone. Colors and decorations may vary. Ages 6 and up.